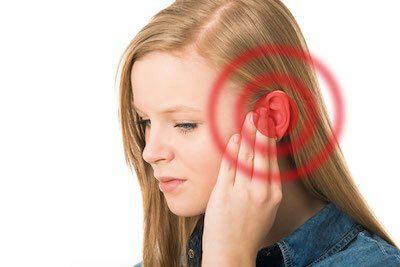 If you have abnormalities in your inner ear, you may experience unpleasant symptoms such as ringing in the ears, dizziness, vertigo, and problems with balance and equilibrium. Abnormalities in your vestibular system, a part of the inner ear, may be a sign of more serious conditions such as endolymphatic hydrops or Meniere’s Disease. If your doctor suspects your symptoms may be the result of fluid buildup in the tiny canals, or labyrinths, in your inner ear, or another inner ear abnormality, he or she may refer you for an electrocochleography, or ECoG test. This painless test evaluates inner ear functions and the electrical potentials of the inner ear. The results help your doctor diagnose the source of your symptoms and the best course of action. For patients, ECoG is a very simple process. When you arrive for your appointment, you’ll be asked to remove your face makeup and thoroughly clean your face. It’s best not to apply any makeup before your appointment. A few small electrodes will be attached to your forehead. Your ear canals will be scrubbed clean, and tiny painless electrodes will be placed deep within them. As you lie quietly on a table, you’ll hear a series of loud clicking sounds. It’s important that you remain still and relaxed during the test; any unnecessary movements or muscle tension can interfere with the testing process and slow it down. If everything goes smoothly, the electrocochleography test will take only about an hour. What Will the Electrocochleography Test Tell My Doctor? The electrodes send information to a computer that generates a print-out showing several waveforms. Your doctor is interested in two components of a particular large waveform: The action potential (AP) and the summating potential (SP). The ratio of these two components is the key to deciphering the test results. A higher-than-normal ratio of SP to AP tells your doctor that increased fluid pressure may be present in your inner ear. Increased fluid pressure in the inner ear may indicate Meniere’s disease, endolymphatic hydrops, or another vestibular disorder. What Happens After My Electrocochleography Test? Electrocochleography is usually performed by an audiologist. At the conclusion of your test, he or she will analyze the computer-generated findings and prepare a report for your doctor. When your doctor receives the report, he or she will compare it with findings from other tests and examinations to determine the next step in your care. If endolymphatic hydrops or Meniere’s disease is suspected, you may be asked to come in for additional tests such as vestibular evoked myogenic potential (VEMP) testing, electronystagmography (ENG), or an MRI scan to confirm the diagnosis. What Else Should I Know About Electrocochleography? You don’t need to do anything special to prepare for an ECoG, and you will be able to go about your day normally when the test is over. If you are tense before your test, try deep breathing to keep you relaxed. Electrocochleography is a valuable test that helps your doctor identify potential problems with your inner ear. If you have questions or concerns, Dr. Darius Kohan will be happy to consult with you to discuss them. 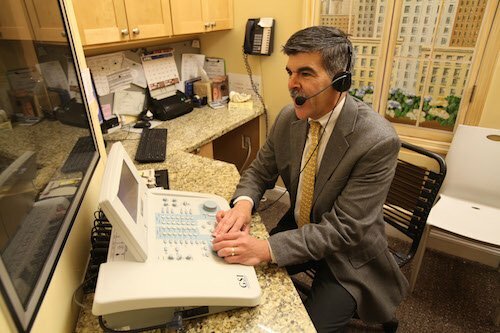 If you have any questions about the treatment and expectations of an a ECoG test please call Dr. Kohan’s office for an appointment at (212) 472-1300.